Happenings with Dom and Nan: A LITTLE OF EVERYTHING (BUT THE BAGEL) SPICE MIX WILL BRING BIG FLAVOR TO EVERYTHING! The folks at PEREG were nice enough to send me a jar of this. Dom and I are HOOKED. We tried this on our scrambled eggs this morning. This is going to be our new "Go-To" spice! It's been rather chilly this week, so I made a big pot of homemade chicken noodle soup... guess what's going to zip it up? YEP! Clifton, NJ, DEC 6, 2018 – Pereg, the leading purveyor of all-natural exotic spices, wants to shake up the salt and pepper standard. In fact, they think their newest spice mix may forever change the American table — and palate. “Here at the Pereg headquarters, we’ve been getting quite a taste kick out of sprinkling on everything -- turkey sandwiches, ramen noodles, soups, you name it,” adds Joy. 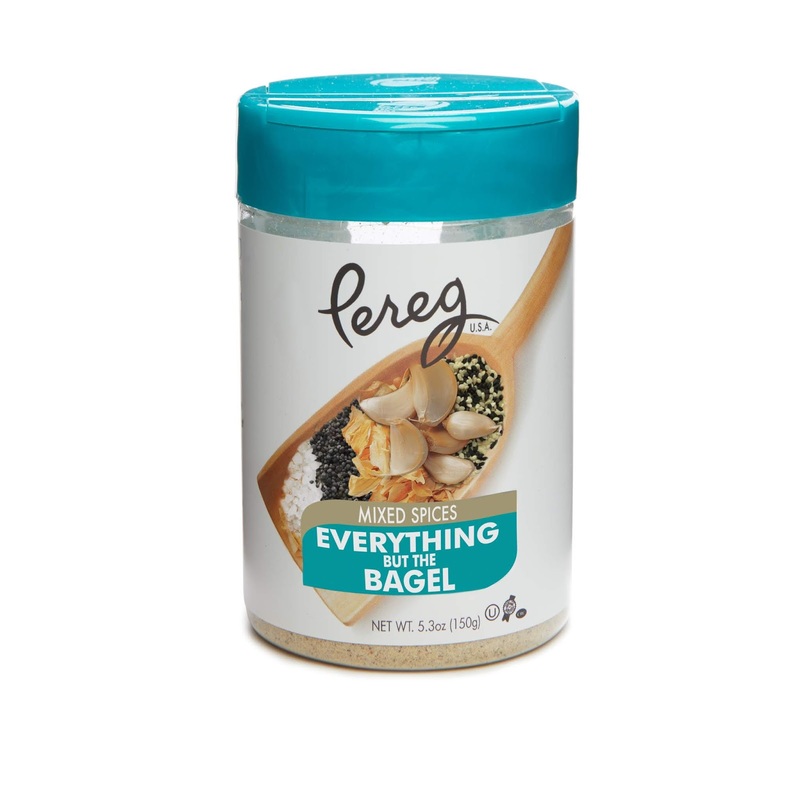 Look for Pereg Everything But The Bagel Spice Mix in the supermarket spice aisle September, 2018. It’s fresh, 100% natural, gluten-free, vegan, and OU and CRC kosher-certified, with no MSG, additives or preservatives. A 5.3 oz jar will retail for $5.50. Today Pereg produces an array of all-natural products that includes ancient grains and ancient grain blends, gluten free pasta, couscous, rice, gluten-free cereal and much more. Pereg Natural Foods products are available at select retailers throughout the US and Canada, and on their website, www.pereg-gourmet.com. Pereg manufactures all its products from start to finish, controlling the quality from the sourcing until the product is packed and ready for the consumer. All Pereg products are kosher certified by both the Orthodox Union (OU) and CRC, are dairy and lactose-free as well as all natural, with no additives or preservatives. Many products are also certified gluten-free and non-GMO. Follow Pereg Natural Foods on Facebook.com/peregnatural, Twitter @pereggourmet and Instagram @peregnatural.